Structure By Design, PA offers structural design, analysis and consultation services for your residential or commercial properties. Build your masterpiece with our building designs for residential and commercial properties. Our service may be taylored to your specific requirements including building permit drawings, specifications, specialized construction shop drawings, framing plans, retaining wall & foundation designs, foundation repair details, value engineering, as-built plans, drafting services and complete construction documents from foundation to cladding. We provide designs in wood, timber, steel, masonry & concrete including everything that is required for your building permit. Get help with structural engineering design for your commercial or residential project. Our company works with architects on new construction, home plans, building additions and renovation projects by providing structural drawings, specifications, calculations and feasability assessments. Make sure your plans are up to code by allowing our experts to review your plans. We can visit your property to assess the condition of your structure, foundation problems, storm damage and construction problems requiring correction. 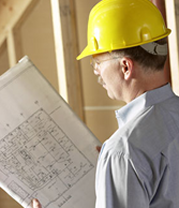 We also offer building evaluations for property professionals and prospective owners. Whether repairs are required, due to catastrophic event damage or gradual structural failure, or in advance of property construction, sale or purchase, professional assessment & evaluation reports and structural repair or alteration plans will help control costs and schedule during the planning and execution of property improvement projects. Contact us at (877) 628-0428 to learn more about our structural engineering, design & evaluation services.